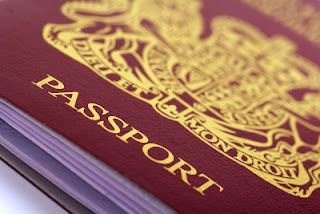 Travelling without a passport is impossible so the Association of British Travel Agents (ABTA) along with Her Majesty's Passport Office are this summer encouraging travellers not to jeopardize their holiday by leaving their passport applications to the last minute. By applying for a passport early you can also save time and money. It is essential to check your expiry date on your passport before you travel as you may not have used your passport for some time. As the peak holiday season fast approaches, the passport agency are experiencing a significant increase, as much as three times more than usual, for new and replacement passports, so customers are advised to allow at least three weeks for their passport to arrive, once documentation has been sent. For first time applicants, HM Passport Office are advising that you allow up to six weeks for your passport to arrive as you will need to undertake an interview. Should you leave it to the last minute, you will face up to £52 extra in cost for emergency counter services. It is also important to understand you do not have to wait for your passport to expire as the HM Passport Office will add on up to nine months unused validity onto your new passport. Many countries require that you have six months' validity left on your passport on the date you are due to leave these countries, and if you do not you could be refused entry. Although this is not an issue if you are travelling in Europe, elsewhere in the world you will need to make sure you have this six months' validity on your passport. For more information you can visit the HM Passport Office website or search #beatthepeak on Twitter.